Coffee Tables in solid wood. Shop for your Coffee Tables here today. Solid pine Coffee Table Antique Pine 18 1/2 in. H x 36 in. dia. Measures 18 1/2 in. H x 36 dia. Coffee Table. Crafted of solid pine this low coffee table is adorned with a beautiful pedestal base. The top surface area measures a generous 36 in. diameter. 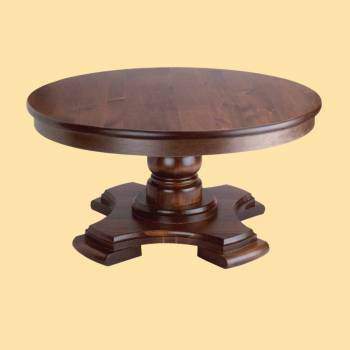 Made of solid pine with a luxurious Antique Pine Stain finish. Measures 18 1/2 in. H x 36 dia.